There are few things more frustrating to a gardener, hobbyist or professional, than losing a crop to pests. When this happens, it’s time to get a hold of some pest control. What Do You Need For Pest Control? Before you choose a certain product or method, it’s important that you know what the problems are. Some pests come from the soil and ground, while others fly into the area. Different pests require different control, which will dictate which form how you handle the issues. Before utilizing any form of control, it’s smart to take precautions to avoid the need for pest control at all. Prevention is the best method, and helps you avoid problems in the future. So, before you start seeing the effects of pests, you can keep it at bay with a few simple tactics. Get rid of weak plants: If they are wilting or have stunted growth, they may already have been attacked. Get them out to avoid a spread to other plants. Cross contamination: Clean all gardening tools before after handling an infected plant. Clean: Keep you garden free of debris or already picked plants. Rotate: When you rotate your plants, it’s less likely that pests can spread throughout your entire garden. So, you’ve taken all the necessary precautions, and now it’s time to decide which method to use. There are a variety of ways to keep pests out of your garden without utilizing toxic sprays or fertilizers. In fact, many of these utilize nothing but the natural environment, physical labor and tedious garden care. When every method requires nothing but yourself or the animals around you, you can be sure to keep your tactics are inflicting no harm on the environment. Natural predators: Bats are natural predators for insects, frogs take care of caterpillars and wasps help with small insects. Soil additions: Utilizing seaweed fertilizer, which contains zinc, calcium and sulfur, will help your plants become stronger. Sturdy plants are able to fend off disease and attacks much easier. New Pond Liner: For those who have a garden pond, it is important to ensure that your pond liner isn’t leaking. If there are signs it is, then you should look through the huge selection of pond liners online to find one that is of the highest quality. 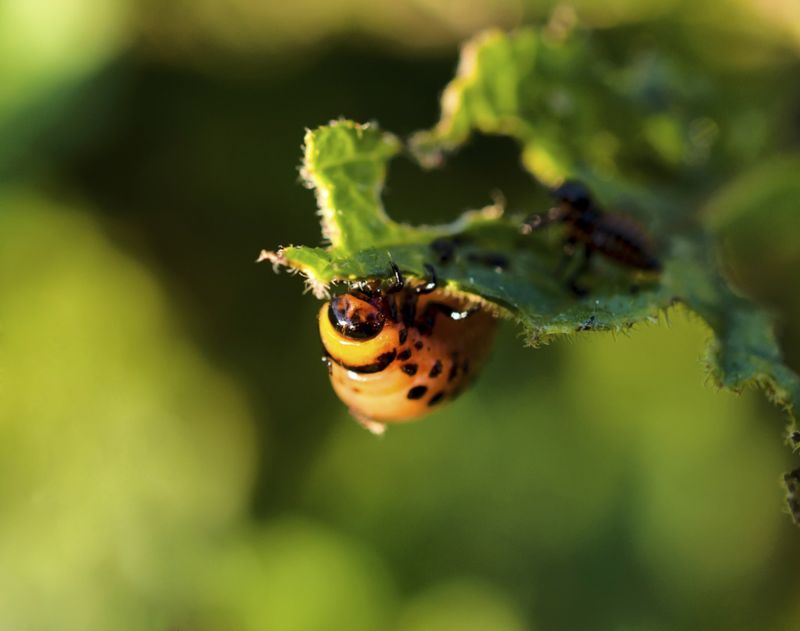 Biological pest control: Introducing fungus or other bacteria will kill pests. Handpicking: Spend a few hours picking through for beetles and large insects that you can see and catch yourself. Barriers: Placing small fences around your garden can keep larger critters from strolling in and picking. If you have small children or prefer not to attack your garden with toxic pesticides, then going without is your best choice. There are a variety of ways to do this, whether you choose to introduce other predators or make a DIY fence for hungry rabbits or squirrels. 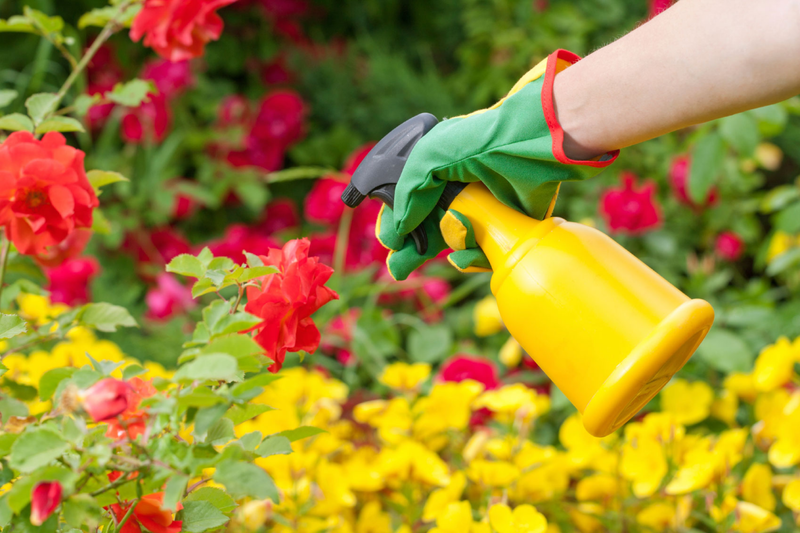 Keep your garden pesticide free with these easy-to-utilize tactics and have a safe and healthy garden.